Yep. That's Dean all right. Hooray for Yellowbelly!!! Hooray for Dean (great costume by the way)!!! Hooray for Trick or Treats!!! Is the center of infinity the right frontal lobe of my brain? Because I believe I run into an amorphous blight of confusion on a daily basies. I just wasn't aware it had so many eyes. I wish my IRL Azathoth helmet looked that cool. I'd totally wear it to work. There's something really attractive to me about that guy. 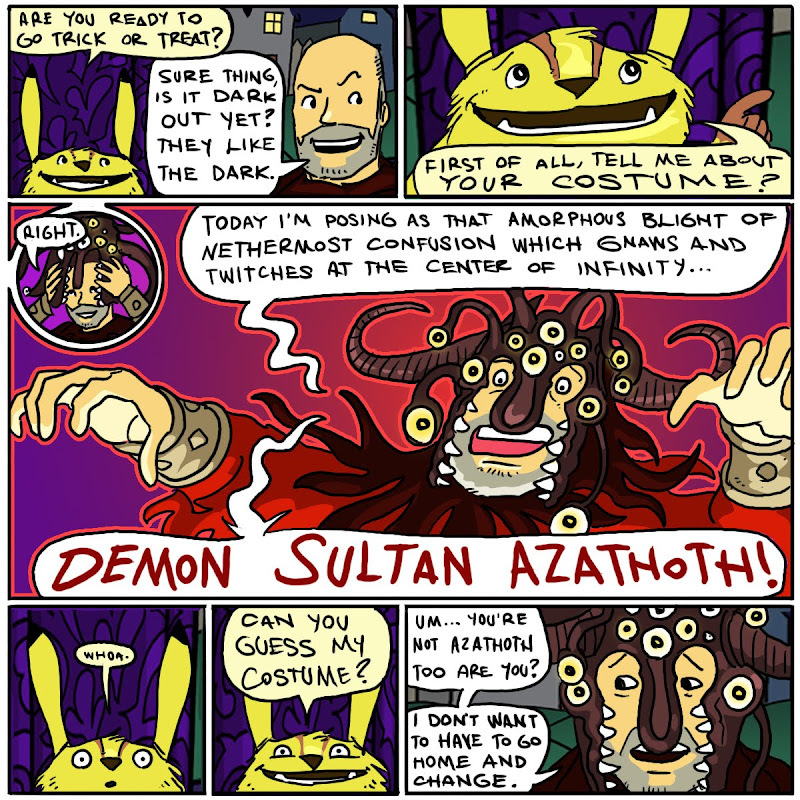 Not the demon sultan, the one inside the costume. Sends my heart a fluttering.